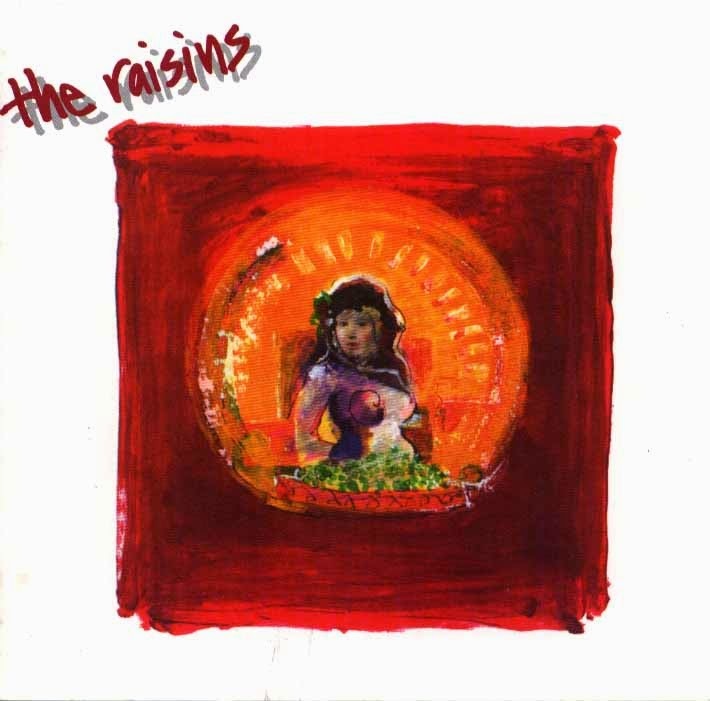 I was obsessed with the debut record from The Raisins. My roommate Rich had picked it up for a buck in 1983, possibly because it had been produced by Adrian Belew or more likely because the band was called The Raisins. To make a long story short, I loved it and wanted it and it took a very long time for me to find a copy for myself. The Raisins, once The Psychodots, eventually became The Bears after Belew became a member. (I think I've got that straight.) The debut is a fantastic collection pop music, great hooks and harmonies, but played with the style and intensity of a prog band. One song in particular, "Obsession Of The Heart," is a fave and I wanted to share that today. A YouTube search found the video up top. Yes, it is "Obsession Of The Heart," so you can indeed listen. But it seems this kid Ollie Elkus is also a fan of the song and band. Here is Ollie, or I assume it's Ollie, playing along on his kit. A minor distraction if you're trying to dig the song, but a terrific show nonetheless. The Raisins, came first. Then the Psychodots. If Mr. Berlew wasn't playing in King Crimson or Bowie or somewhere else, they became The Bears. Why these guys aren't majorly famous I'll never know. Lead guitarist, Rob Fetters is simply amazing. They're all from Cincinnati and still play. Each year they have a Thanksgiving show which is not to be missed. You can find all these incarnations at Willardswormholes.com. Check 'em out. You should also check out Rob Fetters' solo albums. They are all gems. I am biased, having grown up in Cincinnati. But I saw them Psychodots in Austin at SXSW. After seeing a wide assortment of bands, it was clear these guys were the best powerpop band around.